Under the theme “Connecting Minds, Creating the Future”, Expo 2020 intends to become a global platform that promotes creativity, innovation and collaboration on a global scale. 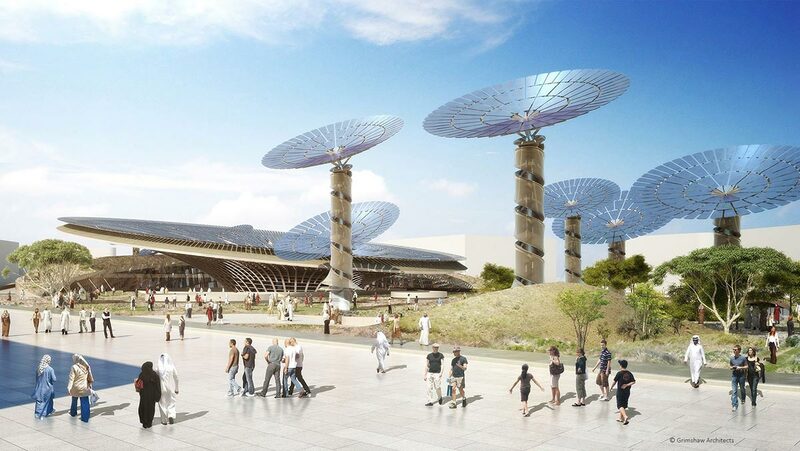 The Expo will be based around three key sub-themes for solving current problems -Opportunity, Mobility and Sustainability- with each one represented by a pavilion. APD’s work will focus on implementing the exhibition zones of the Sustainability pavilion, covering a total of 9,625 m2 distributed over two floors. The exhibition will be extremely participative and feature a wide variety of highly interactive multimedia and immersive experiences. The exhibition will also be combined with more traditional resources such as mechanical and staged elements, scale models, display modules, and soundscapes and smells. APD will also be responsible for the technical operation of the pavilion throughout the Expo. The design of the pavilion’s exhibit area is intended to raise awareness about the most pressing problems facing the planet, as well as encouraging visitors to get involved in driving change that will benefit future generations, by interacting with spectacular physical and digital surroundings. The Sustainability pavilion has been designed by the prestigious architects firm Grimshaw Architects and will be converted into the Centre for Science and for Children after the Expo.